Christine Walker helps people see thought, shape vision, and focus action through visual facilitation and storytelling. A visual artist, writer, educator, and creative consultant her services include meeting facilitation, hand-drawn videos. graphic recording, branding design, and illustration. Visual facilitation encourages whole-body visual thinking, listening, empathy, strategic visualization, and productive narratives. Visual storytelling deepens conversations, sparks inspiration, fosters innovation, and creates a “big picture” for transformational leadership, conscious business, and positive change. “We All Become the Difference” video created by Christine Walker and Dennis Hysom. ©Earth in Concert. Christine is an expert in creative process and design thinking. Opening hearts, moving minds, and partnering in transformation toward sustainability, conscious business, and vital community. Visual Story capture of PCRC Conflict Resolution Summit morning presentations and conversations. Visual Facilitation & Storytelling. Guide conversations to distill and focus content. Draw out empathy and purpose. Show connections among individual and group visions. Facilitate brainstorming. Create mind maps and concept maps. Capture the story in visuals and narrative. Discover meaning and purpose through visual and storytelling activities. Video Production. Make concepts come alive for better understanding through story, drawing, narration, sound, and music. Graphic Recording. Translate presentations visually in support of facilitators and speakers. Inspire active listening and conscious participation. Design & Illustration. Create communication graphics, branding, infographics, customa strategic plan templates, mind maps, media, summary visuals, and media in the studio and digitally. Custom Workshops, Retreats, and Training. Facilitate creative process, visioning, and design thinking. 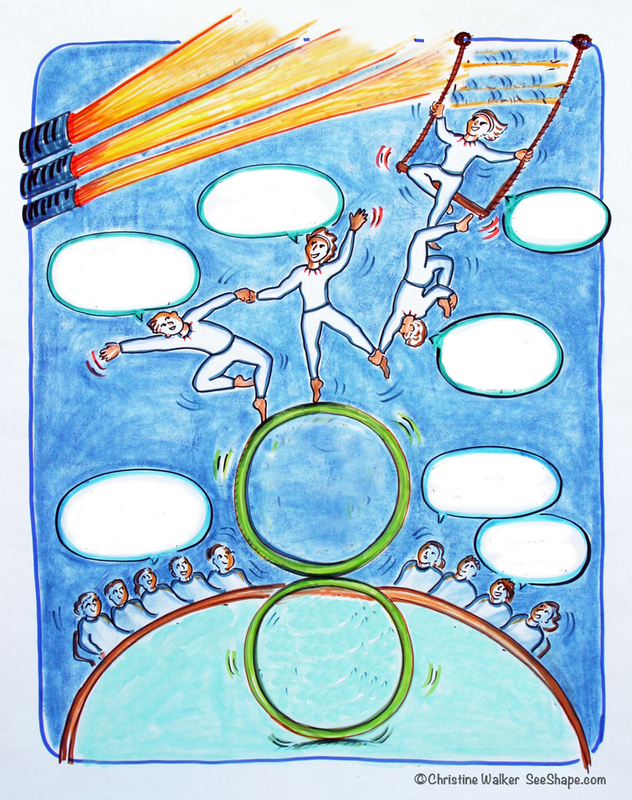 Teach visual facilitation skills and agility with the elements of story. “…the soul never thinks without an image.” Aristotle, 350 B.C. 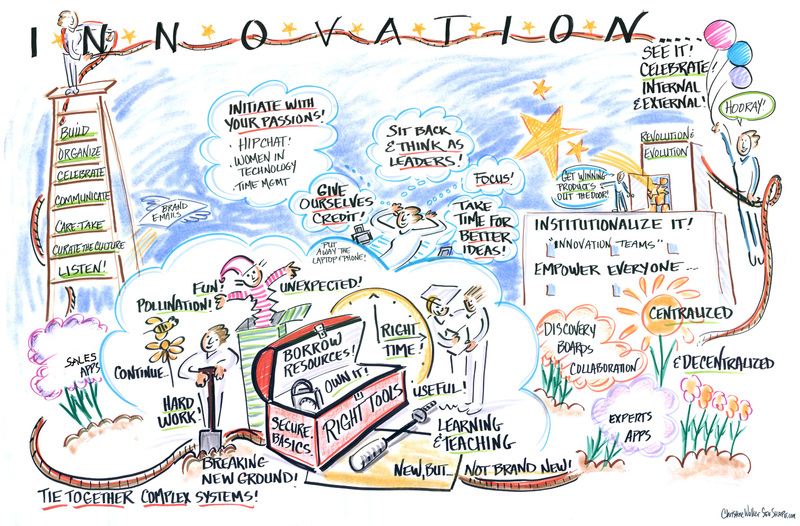 How are you creating and sustaining a culture of innovation and engagement? How are you preparing for peak performance, productive communication, and creative collaboration? Are you celebrating opportunities to learn? Where will you experience new levels of mastery? Who is on your team? Are you engaged in authentic, productive conversations? Who is listening? What do you want to say? Header photo by Shmulik Almany. America’s Promise Community Convention, Washington D.C.